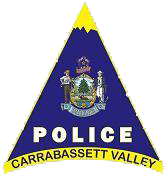 Welcome to the Carrabassett Valley Police Department and Public Safety home page. While you are here as a resident or guest, our staff of full time Police and Security professionals will provide a safe atmosphere to live and recreate in. We strive to provide enhanced service to our customers in a stress-free manner. During your stay here we want you to feel at home and know we are there for you 24 hours a day in the event you need our assistance. I encourage anybody to contact me with questions or concerns by phone or stop by our office located at 9000 Main Street Village West. I hope you enjoy your visit to Carrabassett Valley and return soon.